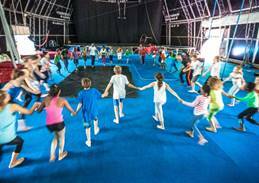 2042 children and youth received circus tuition in 2017 through Zip Zap’s 10 different social, recreational and outreach programmes. In 2014, Zip Zap created the South African Social Circus Network (SASCN) believing in unity to create change by using the circus arts. In its 5th year, the SASCN will meet in Stellenbosch at the Sisonke headquarters for a fun day on the Flying trapeze to honour the youth, celebrate diversity, and remember how Zip Zap started in 1992. Siyabonga Swelindawo, Zip Zap’s Outreach Coordinator speaks out of excitement, “Social Circus taught me life skills including self-confidence, honesty, trust, and respect; its great fun to pass it on to the younger generation. I can see the transformation in all the kids we teach”. “Zip Zap’s Winter TOTS camp also celebrates youth; it’s more than a workshop for the winter holidays because we pair the children who have never met before, and they all have fun together while making friends”, adds Siyabonga. Zip Zap’s Winter Tots Camp is a unique experience for kids between the ages of 5 and 8 years. The children get a taste of circus magic through a jam-packed week of fun circus activities and on the last day they put up a ‘Show & Tell’ with costume, make-up and music. To book a space at the Winter TOTS workshop: https://www.quicket.co.za/events/41569-winter-tots-camp-2018/#/schedules or contact siyabonga@zip-zap.co.za. 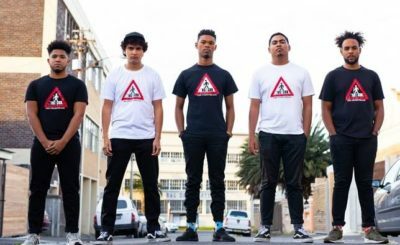 Zip Zap Circus is a not for profit social school that was founded in Cape Town in 1992, to inspire young people and help build a new culture of peaceful coexistence in South Africa. Working with a diverse community of children from all backgrounds, Zip Zap helps children to ‘dare to dream’ and learn to make those dreams a reality. Zip Zap’s programmes are all free to participants, with financial and material support coming from individuals, organisation, corporations and foundations. 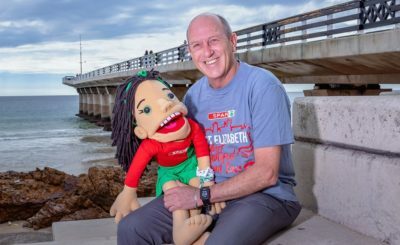 In South Africa and the world, Zip Zap is recognised across Governments, Ministries of Education, Tourism, Arts & Culture and private societies, as a major contributor to the development within the iconic ‘Mother City’ and providing sustainability of the circus arts in South Africa.